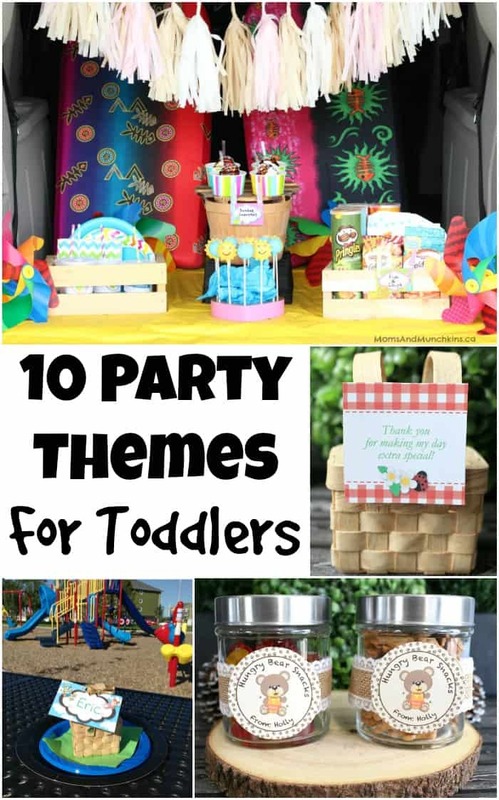 This post is brought to you by AVEENO® Baby and The Co.
Arcades, waterslides, trampoline parks – all fun birthday party ideas but these themes won’t always work for the little partiers. For kids 3 and under, thinking of a fun party theme can be a bit more challenging. You want something age-appropriate that your birthday child will enjoy but a lot of the party venues simply don’t suit the younger kids. I love birthday parties at home and there are so many creative ways you can transform your yard into a fun party setting for toddlers. It’s important to keep in mind that with all of these fun outdoor party themes, you’ll want to make sure you have a sun protection station for your young guests. Your sun protection plans should include shaded areas for your guests, water to stay hydrated and AVEENO® Baby Sensitive Skin Mineral Sunscreen Lotion SPF 50. I personally love AVEENO® Baby Mineral Sunscreen because it offers broad-spectrum protection with Active Naturals colloidal oatmeal that nourishes & hydrates baby’s delicate, sensitive skin. It’s a mineral sunscreen that uses 100% naturally-sourced active ingredients, which I love because it’s a more natural choice. 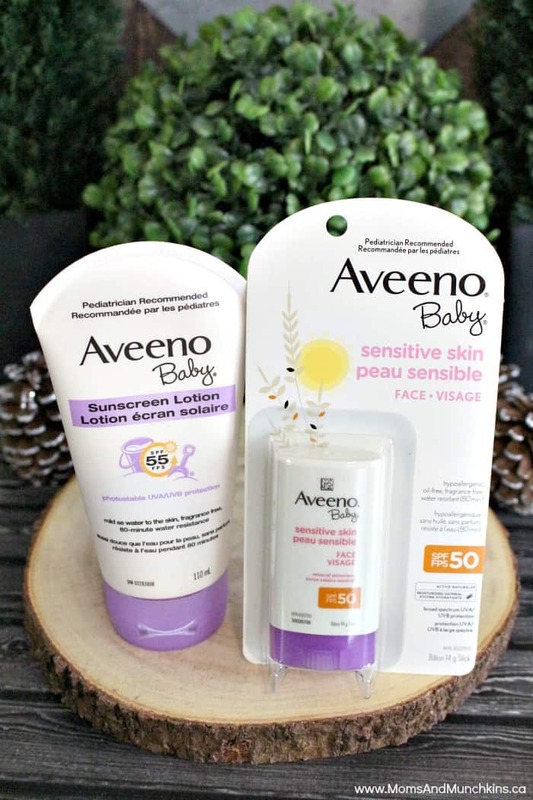 AVEENO® Baby sunscreen is the brand I trusted for my son when he was a baby & toddler. He’s very pale with sensitive skin (just like his Momma!) & AVEENO® Baby Mineral sunscreen was a great choice for his skin. 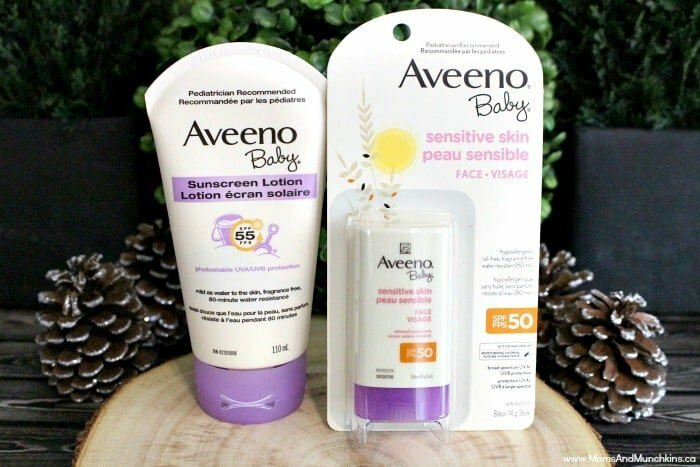 The AVEENO® Baby Sensitive Skin Mineral Sunscreen Face Stick SPF 50 is an easy way to apply sunscreen to your baby’s face because the non-greasy formula helps keep the product out of his eyes when he rubs his face. You can then easily apply the sunscreen lotion to the rest of his body for complete coverage. 1) Picnic Party: A blanket on the grass, some mini sandwiches, juice & desserts are all you need. The kids could be entertained with toys like big rubber balls and bubbles. 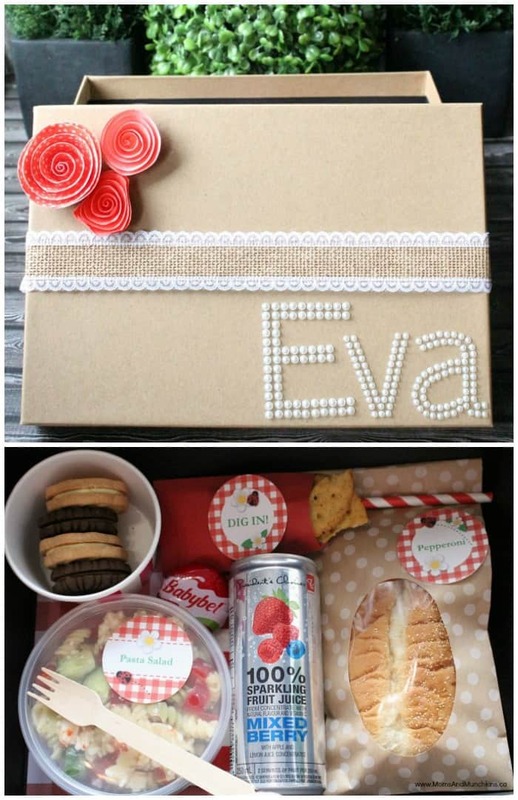 For party favours, try mini picnic baskets filled with toddler-safe treats. Visit our Picnic Party Pinterest board for more ideas. 2) Bubbles Party: Kids love bubbles! For this fun party, simply set out a variety of bubble mixtures with different wands in a “bubble station”. You could even set up an area for giant bubbles! Check out this easy giant bubble recipe. Snacks could include toddler-friendly “pop” corn, and a “bubbly bar” with kid-friendly drinks. For your party favours, simply attach a “thank you for popping by” tag to small jars of bubbles. Visit our Bubble Party Pinterest board for more ideas. 3) Swimming Party: My son’s first party was held at a swimming pool. I invited all the little ones and their parents to come for a swimming party and served snacks like submarine sandwiches, fish & chips (Goldfish crackers & chips) and clams (cream puffs). For party favours, any sort of pool toy would be fun with a tag for “thank you for swimming by”. Visit our Swimming Party Pinterest board for more ideas. 4) Beach Party: You don’t have to live near a beach for a fun beach party! You could easily transform your backyard into a beach setting with kiddie pools, a sandbox and some beach balls. Party favours could include beach balls with a “Splish Splash! Thanks for coming to my beach bash!” tag. Visit our Beach Party Pinterest board for more ideas. 5) Garden Tea Party: You could invite your little guests to wear fancy hats to your backyard tea party! Some mini cupcakes, cookies, fresh flowers and a plastic tea party set with juice are all you’d need for your party table. The party favours could include fresh baked cookies with a “thank you for coming to my parTEA” tag. Visit our Tea Party Pinterest board for more ideas. 6) Forest Friends Party: This party would be great in an outdoor setting with lots of trees. You could use wooden serving trays to display your party treats. Snacks could include bear-friendly treats like Teddy Graham crackers and Goldfish crackers. For party favours, an owl tag with “thank you for making my party a HOOT” would be cute. Visit our Forest Friends Pinterest board for more ideas! 7) Camping Party: For this fun party theme, you could set up some tents in the backyard for the kids to play in and maybe even a mini pool with plastic fishing rods for the kids to play with. Wooden serving trays with snacks like Bear Paw cookies, “fishing hole” Goldfish crackers and s’mores desserts are all tasty ideas. 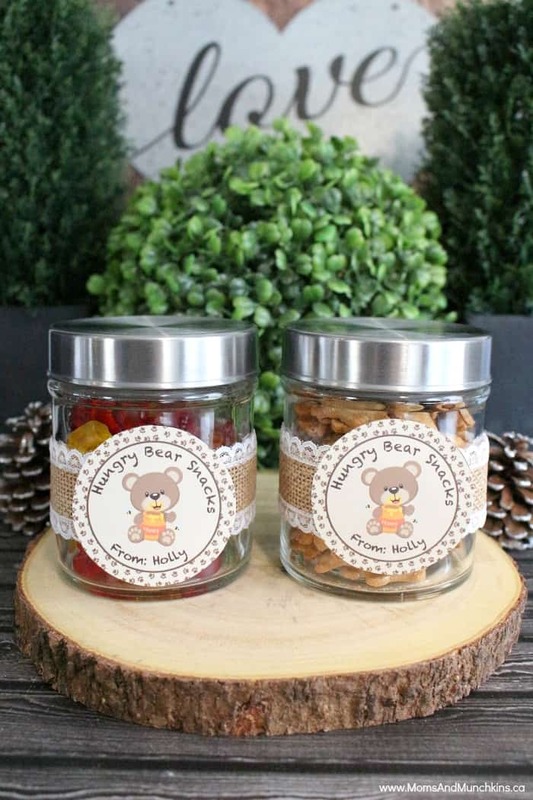 Party favors could include Teddy Graham crackers and gummy bears with a “Hungry Bear Snacks” tag. You can find that tag in our Etsy shop! Visit our Camping Party Pinterest board for more ideas. 8) Ice Cream Party: You scream, I scream, we all scream for ICE CREAM! A delicious way to cool off on a hot summer day is with an ice cream buffet with treats like ice cream sandwiches, mini cones, a variety of ice cream flavours and toppings. For party favours, some toddler-friendly sweets with a “thank you for being so sweet” tag is a tasty idea. Visit our Ice Cream Party Pinterest board for more ideas. 9) Playground Party: Just like a fun park playdate but with cupcakes! Invite all the little party guests to a local toddler-friendly playground with a picnic basket filled with drinks, snacks and cupcakes. You may want to bring a few extra blankets to use on the grass. Party favors could include sand pails & shovels with a “thank you for being a fun friend” tag. Visit our Playground Party Pinterest board for more ideas. 10) Bug Party: Ladybugs, caterpillars, butterflies, and ants could be used in this fun party theme. You could serve ladybug-decorated cupcakes, worms in dirt (gummy worms in chocolate pudding) and host a bug scavenger hunt in the yard with magnifying glasses and butterfly nets. Visit our Bug Party Pinterest board for more ideas. *Disclosure: This post is brought to you by AVEENO® Baby. All opinions expressed are my own.